Moving average trading strategy is well known and fairly common. 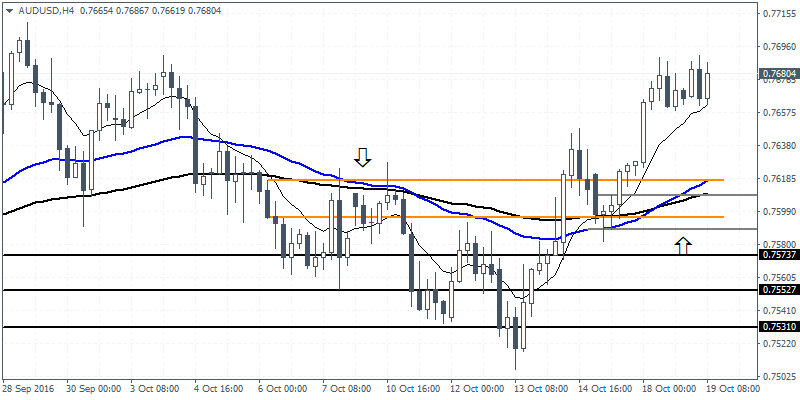 It is a simple trend following strategy that is determined based on the moving averages that are being used. A triple moving average trading method involves using a very long term MA, a medium term MA and a short term MA. The moving averages can be exponential or simple, depending on a trader’s preferences. As for values, the general combinations are 200, 100, 50 or 100, 50, 20 or 10 depending on the timeframe. Of course, there is no specific rule on the values (periods) of the moving average, and it is up to the trader to decide what values to use. Therefore, buy the dips or retracements when the short term MA signals a bullish crossover. Therefore, sell the rallies or retracements when the short term MA signals a bearish crossover. The above rules are very simple to understand and as for the stop loss and take profit levels, it is up to the trader to decide how they want to place their levels. It could be a trailing stop or a fixed RR set up. There are many articles and tutorials (and even EA’s) that cover this rather simple approach to trading. But here are some unique ways you can pick up on potential buy and sell signals. 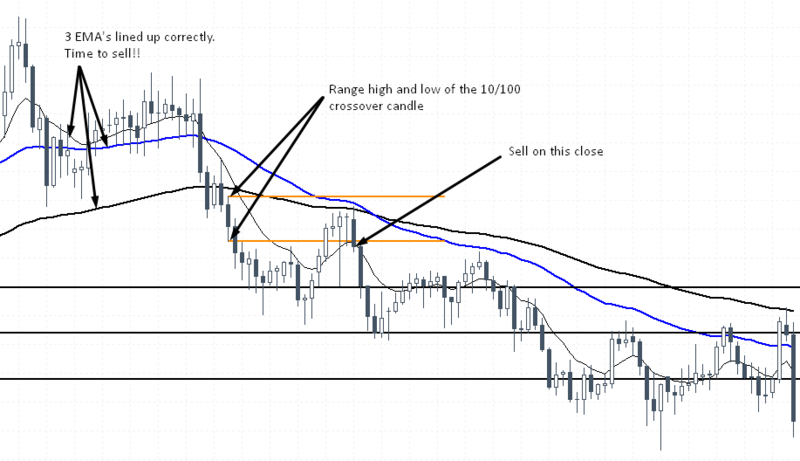 For the remainder of this article, we will use 100, 50 and 10 EMA’s. 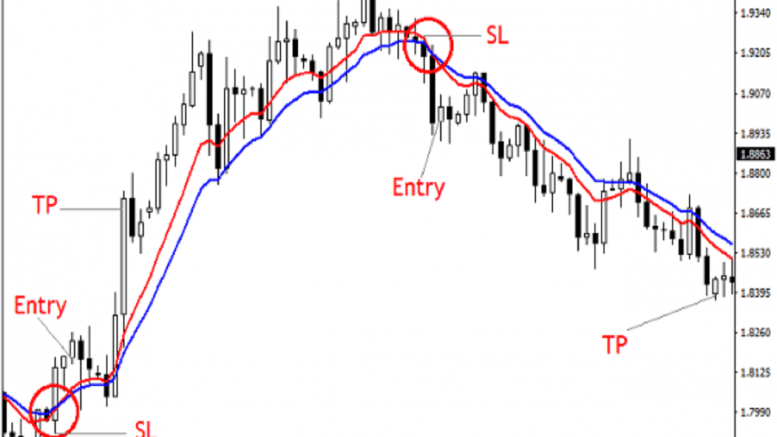 Long or short signals are generated when 10 and 100 EMA’s interact. However, this is not a signal to immediately enter the trade. A perfect 10/100 crossover buy signal occurs when all three EMA’s are previously bearish (or bullish in case of a sell). Then, the 10 EMA makes a bullish crossover on the 100 EMA (but the 50 EMA is still below 100). Look to the chart below which illustrates a false sell signal and a perfect buy signal. Now that you have identified a perfect (buy) signal, the next step is to plot the highs and lows of the candle which triggered the 10/100 crossover. Then, wait for the 50/100 (bullish) crossover and wait for price to breakout or close above the range high that you have selected. Go for a 1:1, 1:2 and 1:3 RR set ups and move your stop losses accordingly. There is a bit of flexibility that you can allow for yourself. The next example shows a sell signal where we go short before the 50/100 crossover. 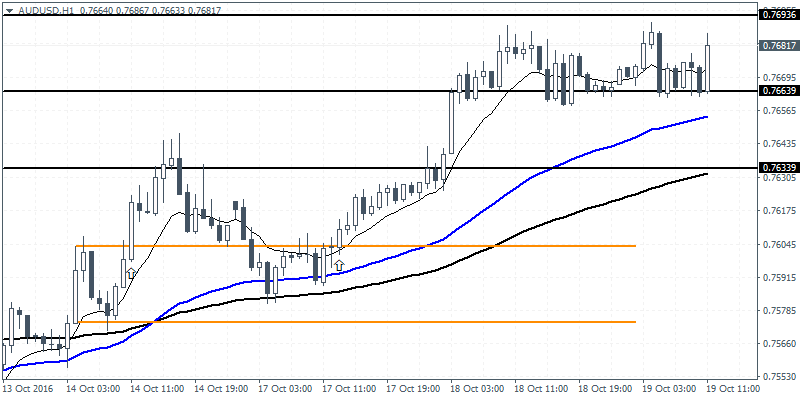 The reasoning behind this sell set up is due to the nature of the slope of the 50 and 100 EMA. If you had to wait for the 50/100 crossover you would have missed an entry (although there would have been other ways to trade). In the above example, we go short on the breakout from the candles’ range low. At the time of entry there was to 50/100 crossover, but the slope of the EMA’s suggested that there would be bearish crossover. In this example however, the trade would have reached T1, T2 but T3 would have been stopped out near T1. Still, the set up offered a very good RR. The trick in trading this method is to allow yourself enough chart time to be familiar for this pattern to play out. Not all set ups work out exactly the way as defined. The first chart below shows an example. Here after we set the range on the 10/100 crossover EMA, price takes a while before triggering a signal. Of course you could have entered long on the breakout from the first level, or you could have waited for the second retracement. Regardless of the trade entry, notice both the trades moved in your favor. And in some instances, the trade is not triggered at all. The next chart below shows a short signal that quickly reached up to T3 while the long signal did not trigger the set up. As outlined in the above examples, this unique way to trade the triple EMA offers an objective way to trade with a controlled risk/reward set up. Why does this set up work? If you have asked yourself this question, chances are that you are thinking on the right track. This trade set up work because of momentum. When 10EMA cuts across (50 EMA first and) 100 EMA, it signals strong momentum in price. Thus, based on the dips or rallies that occur later, the trade can be entered safely in the direction of the momentum. In the next article we will explore another way to trade the Triple EMA trading strategy. Until then…. Practice, practice, practice! Be the first to comment on "Moving Average Trading Strategy"